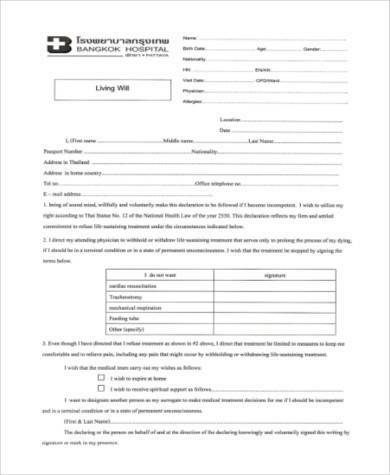 Just as you use Will and Trust Forms to plan for the distribution of your estate at the time of your death, it is also as important – or perhaps even more important – that you plan for your future medical treatment in the event that you would be unable to communicate your preferences to your physician or to your family and loved ones. Such events include being permanently unconscious or mentally incompetent. Although your doctors will always do everything that they can do to keep you alive, your preferences and personal values should also be taken into consideration during a medical crisis. 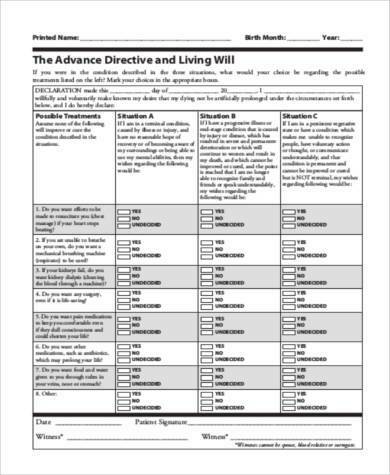 A Living Will is an advanced healthcare directive that can only take effect if and only if the person is terminally ill with no hope of recovery or if he is permanently unconscious. An examples of this is if the person is in a coma, with no knowledge of when or very little hope that he will wake up. 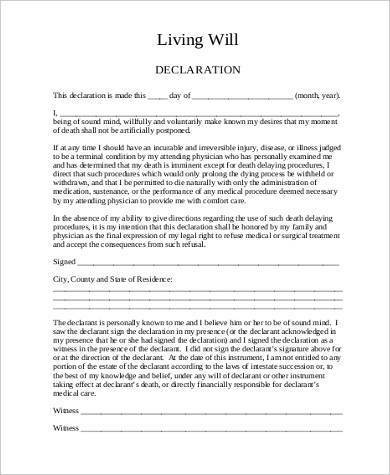 A Living Will is best accompanied by a Health Care Power of Attorney, which is also a form of advanced healthcare directive used to appoint someone else to make decisions for your medical treatment in your behalf. The appointee, called the agent, can then use the Living Will as a guideline for the decisions he is going to make on your behalf. But if there are things necessary for your care that are not included in your Living Will, it will be the agent who will make decisions based on what’s best for you. 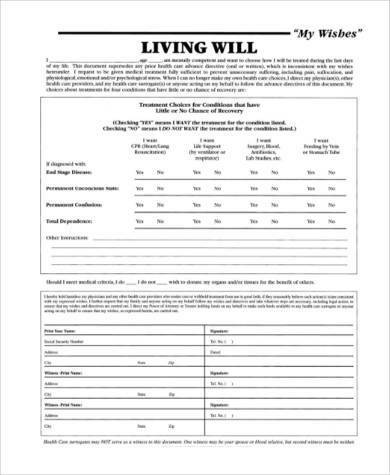 You may see our Free Living Will Forms for more samples, or check out our Will Forms if you are planning to draft a Last Will and Testament. 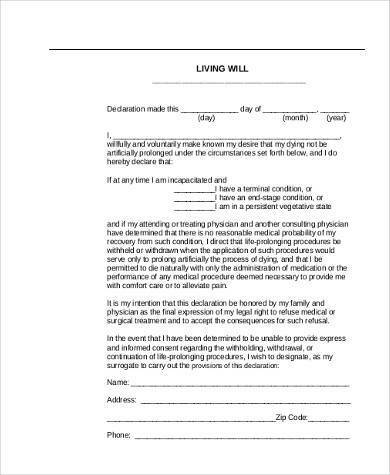 Among other things, a person’s Living Will may also include funeral arrangements – not only directives for how to go about with your medical treatment, to help your family and loved ones be aware if you want to be buried or cremated, or any other details involving your funeral. 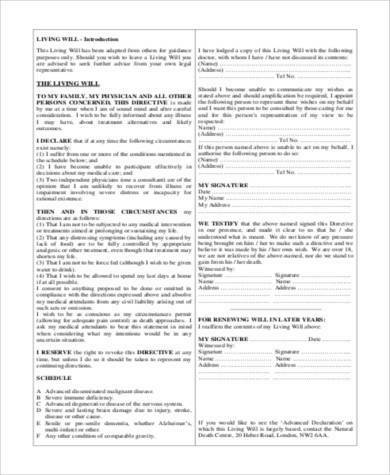 What Are the Things Included in a Living Will? Cardiopulmonary Resuscitation: If your heart stops, would you want to be resuscitated? Life Support: Would you want the use of medical equipment, such as breathing tubes, in the event that one or more of your organs would fail? Pain Management: What sort of pain management options, if any, would you want to be administered? Medical Expenses: Would you want to exhaust your finances to fund your medical treatments? Organ Donation: Would you want your organs and tissues to be donated for transplant in the event of your passing? Before you draft a Living Will, it is advisable that you talk to your doctor so that you will understand the repercussions of whatever your choices would be. You should also speak with your lawyer so that you can be given proper advice based on what your needs and wishes are. Most importantly, you should speak with your loved ones so that you can express your wishes and preferences with them before you put it all in writing. 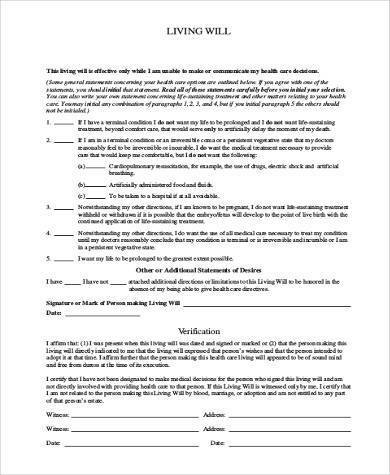 This would also help to determine what personal choices your loved ones would be having a hard time carrying out, so that you can make sure that your will is still going to be done at times when you cannot defend your choices. 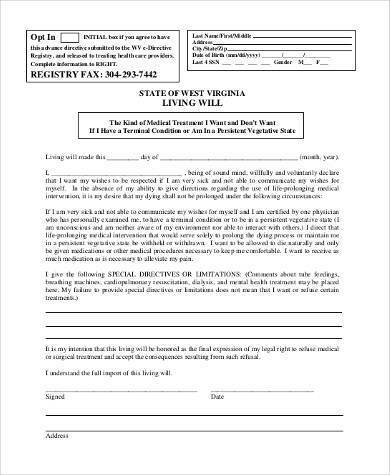 You may also see our Free Will Forms for drafting up a Last Will and Testament.